Hiring a professional photography service is a wise investment for your event. Photographers can make sure those elusive memories don’t slip away long after the party is over. Find local professionals in Florida who specialize in working with children. Never worked with one before? Scroll to the bottom of the page for some questions you should ask before booking them. Unfortunately, simply owning an iPhone and having an Instagram account does not a photographer make. Besides, who wants to run around all evening taking pictures rather than experiencing the party first-hand? Hiring a photographer is certainly worth the investment, especially for larger parties like sweet sixteens and graduations. Even your baby’s first birthday deserves someone to capture the day. However, how are you supposed to know if they have the right credentials and experience you are looking for? 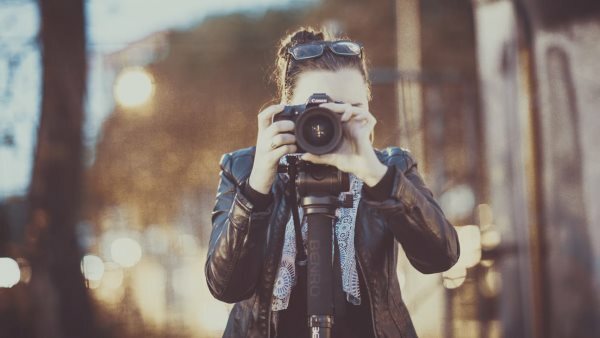 Below, check out these 4 tips for finding the perfect photographer for your event. 1. View their portfolio: Most photographers have a website or online portfolio filled with examples of their best work. How do you like their technique? Do you like their photo editing style? Do they only do portraiture and lifestyle shoots or do they also do event photography? Do they feel comfortable working with kids in your child’s age group? Knowing the type of work they specialize in can save you time if they don’t necessarily provide the service you’re looking for. 2. Reference check: See if their website features client testimonials, or try to find reviews online. Better yet, see if you can contact a few former clients directly to hear it from their perspective. Hearing reviews from previous customers will provide you with insight and give you an idea of what to expect. 3. Go over expectations: Now that you’ve found a photographer, make sure the two of you are on the same page when it comes to your expectations for the event. Discuss the types of shots you want captured, how long you need them for and any last-minute details. Likewise, you should also use this time to ask them if there are any accommodations they might need, such as extra time setting up, directions to the venue, or designated time for people to pose for certain shots. Coordinating these details ahead of time will ensure that the event runs smoothly. Many photographers will set up a meeting with you first to take care of these details face-to-face. 4. The contract: Most photographers call this “investment.” Before signing the dotted line, go over the details of your contract. How much will their services cost? Do they offer certain packages? How long does it take for them to edit your photos? Do they provide different types of prints? How about digital copies? Make sure both parties agree on compensation before moving forward with the event. These are just a few essential tips for booking a photographer for your next event. Did you use one of the photography services in Florida featured on KidsParties.Party? Upload a photo from the party in the comments section of their details page to show off their work. If you’re planning a party and need suggestions or recommendations, call 732-298-0615. You can be listed on our site. To start, click here and fill out a quick form about your business! Have you already gotten photographs done? Use your photos to create custom birthday invites or cards with our new innovative software. You can add the pictures to any of our templates, or use the photo card creator to make a completely personalized one. We even have the perfect birthday wishes to throw on these cards! Check them out right here.